Thin slices of zucchini, onion and red pepper, layered in tomato sauce then topped with mozzarella and Parmesan cheeses. Cook peppers and onions in a large nonstick skillet sprayed with cooking spray over medium heat for about 5 minutes, stirring occasionally. 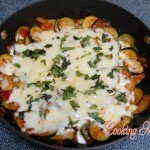 Add zucchini; continue to cook and stir for about 2 minutes. Stir in spaghetti sauce; cover and cook about 8 minutes or until vegetables are crisp-tender, stirring occasionally. 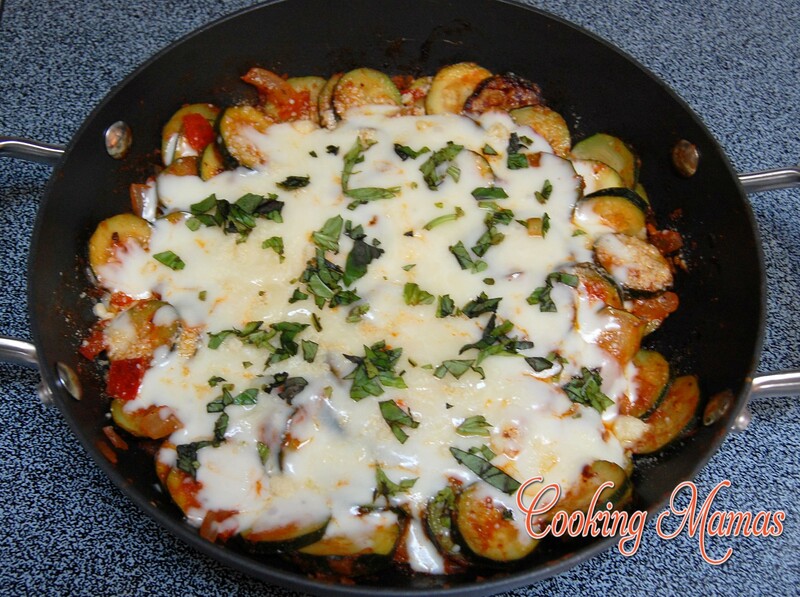 Sprinkle with cheeses; cover and cook about 1 minute or until mozzarella is melted. Top each serving with 1 tablespoon chopped fresh basil.